This Mama ROCKS! 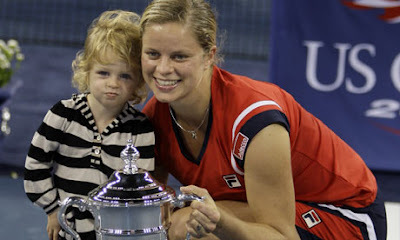 Kim Cljisters - The first mother in nearly 30 years to win the Women's US Open!!! With some pretty sweet 'arm candy', 18 month old Jada.